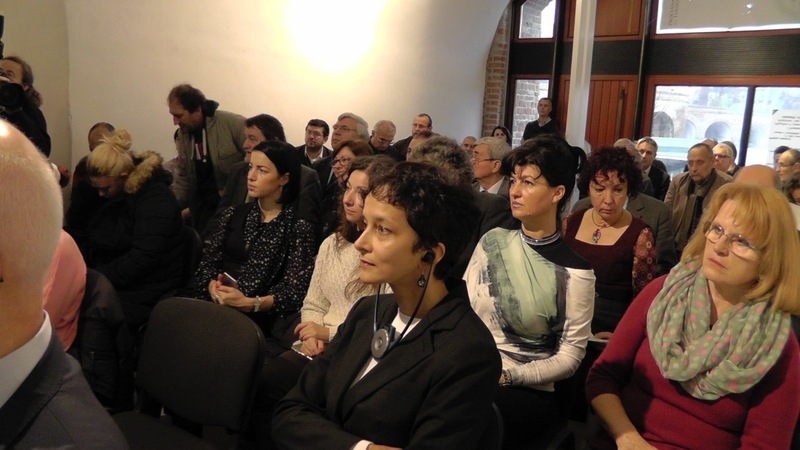 Timisoara, 19 December 2015. 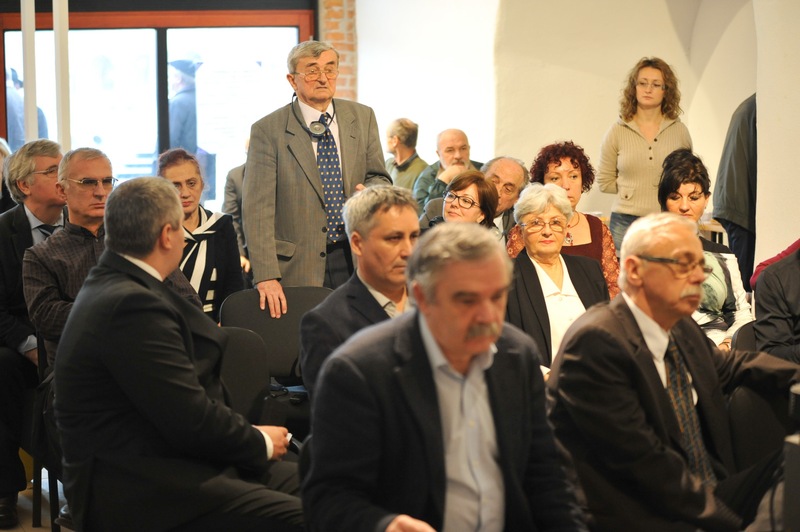 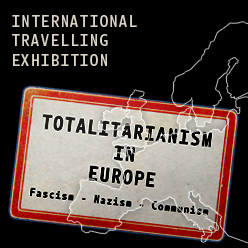 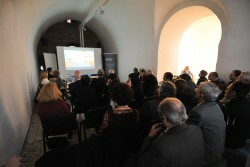 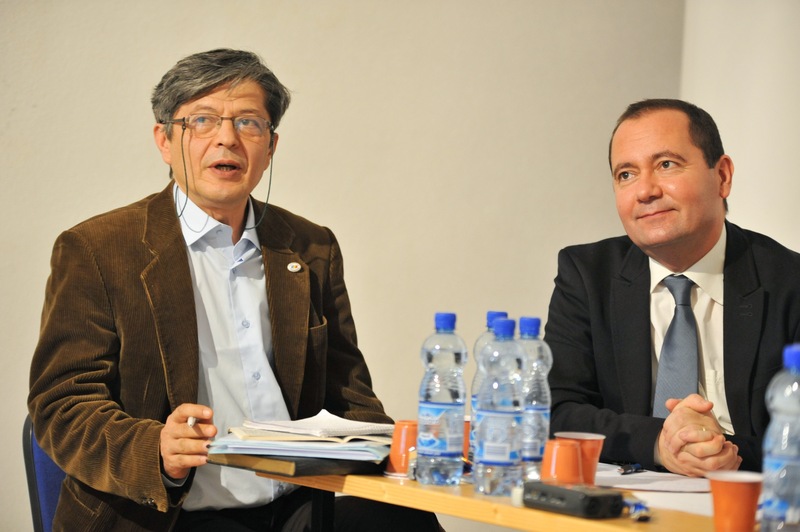 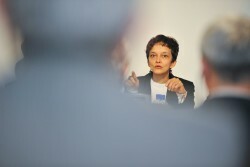 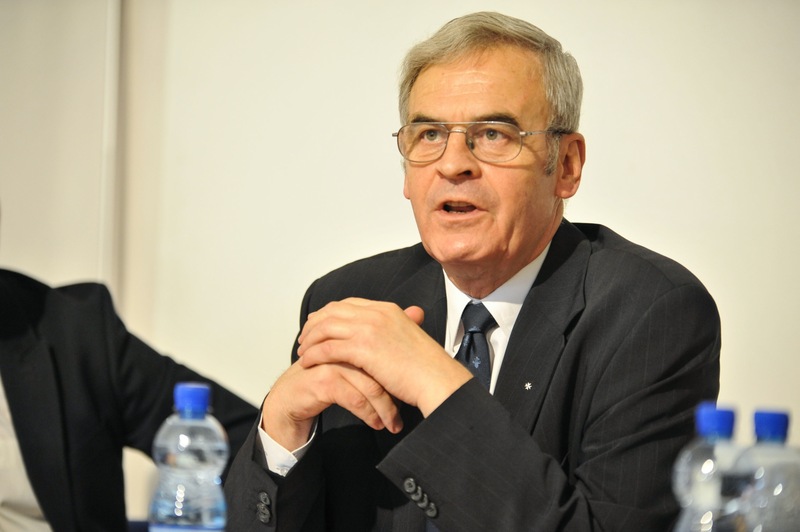 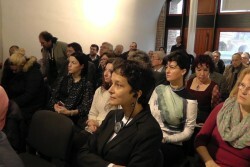 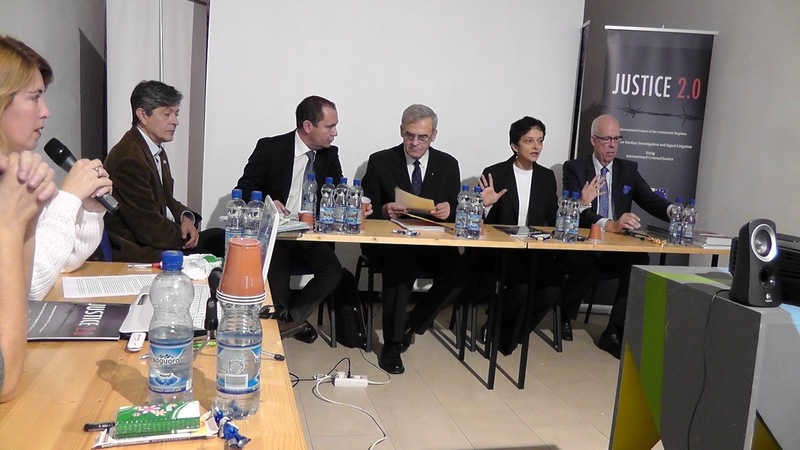 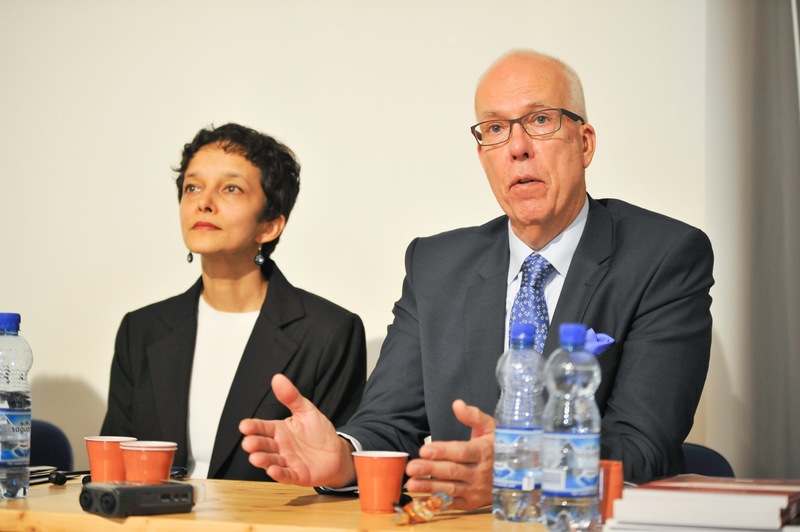 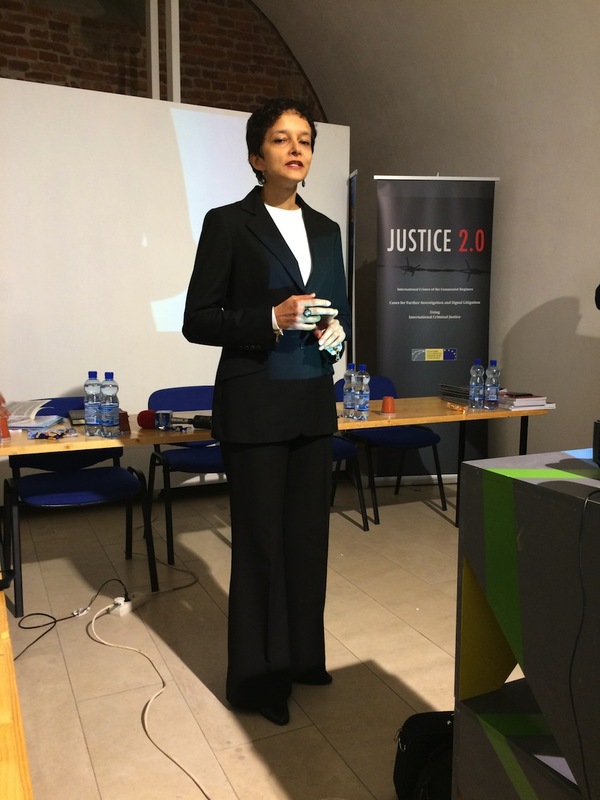 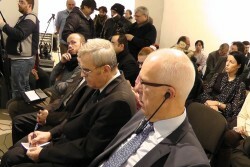 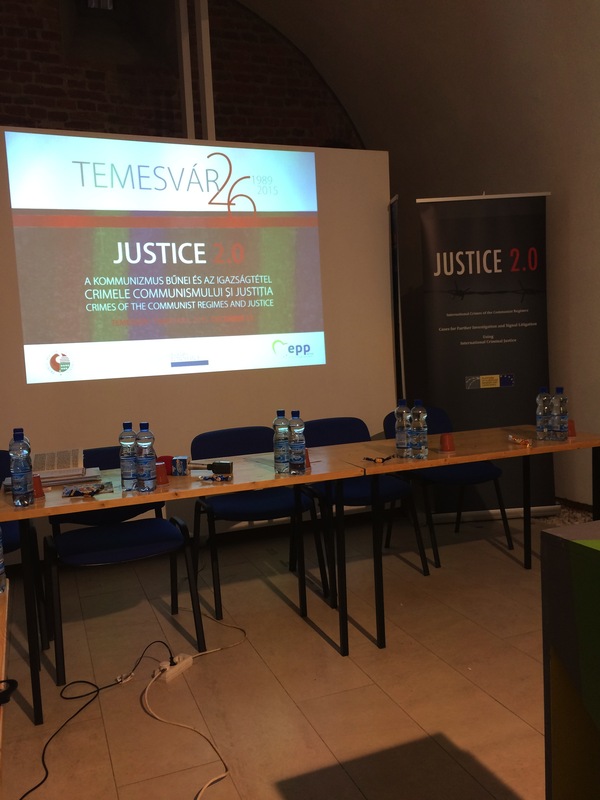 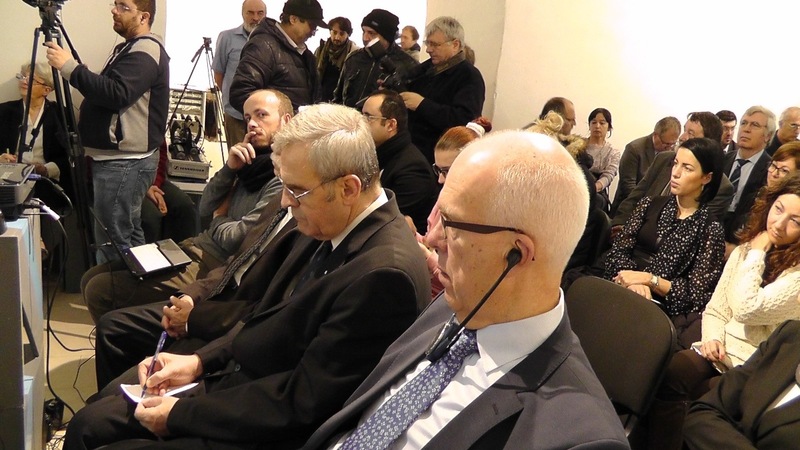 Mr László Tőkés, MEP, member of the Board of Trustees of the Platform of European Memory and Conscience and the Timisoara Society, Member of the Platform, organised a conference “JUSTICE 2.0” in the Vega gallery in the Bastion Teresia in Timisoara, Romania on 19 December 2015. 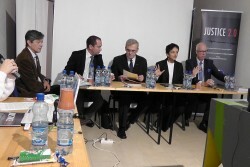 Speakers were Göran Lindblad, President of the Platform, Florian Mihalcea of the Timisoara Society, László Tökés, Zsolt Szilágyi, member of the Executive Board of the Platform and Neela Winkelmann, Managing Director of the Platform. 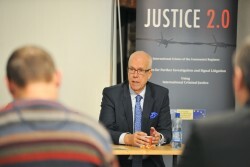 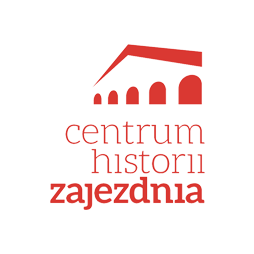 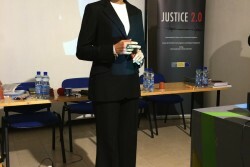 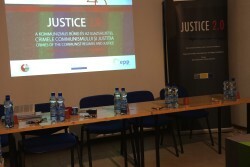 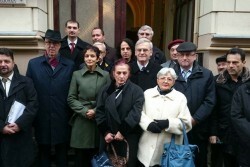 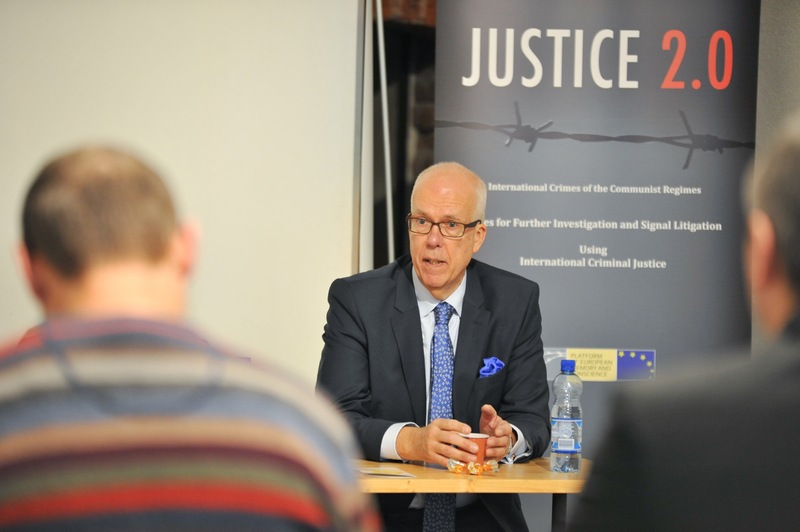 The “JUSTICE 2.0 ” film was screened and the eponymous Platform project aiming for international justice for the Communist crimes was discussed with an interested audience and media representatives. 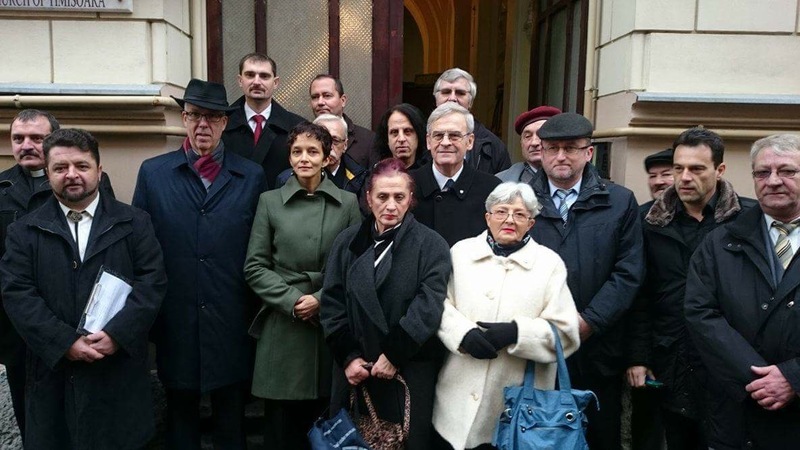 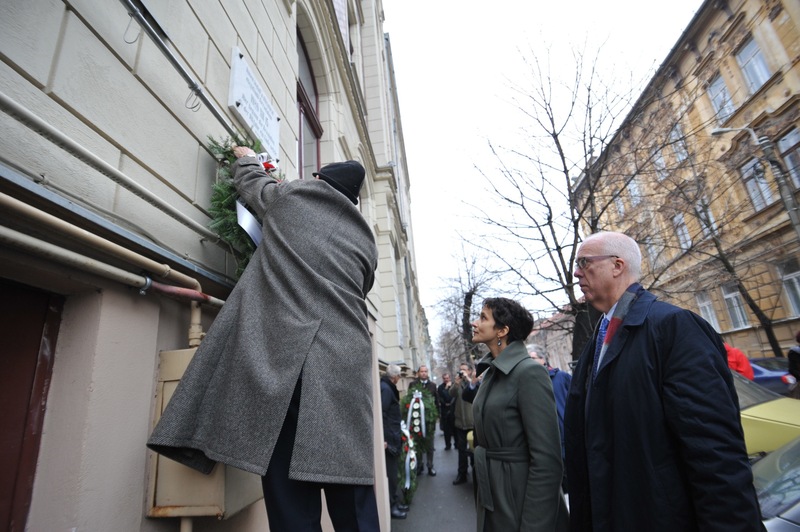 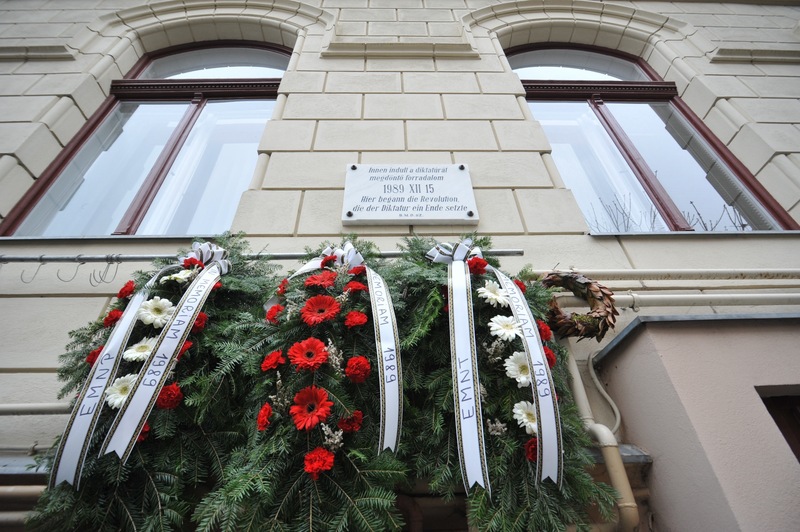 Following the conference,the participants posted wreaths on the wall of the Reformed church in which bishop László Tökés was held under house arrest in 1989 and where the Romanian revolution against the Ceausescu regime started in December 26 years ago.